Bigger versions of the much-loved JBJ Cubey are now available. 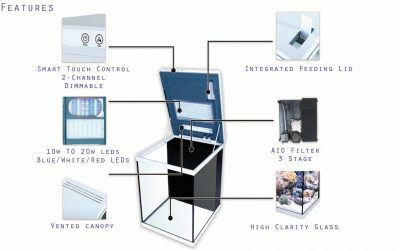 This 10G All-In-One Cubey comes complete with an integrated dimmable 2-channel LED hood and white cabinet stand. This redesign of the original Nanocube was made to fit your current lifestyle. 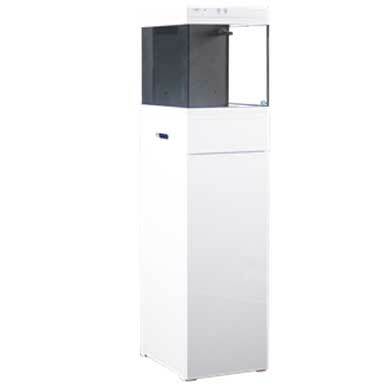 The three stage integrated filtration is very quiet and includes a designated section for either filter media or heater (heater less than 50 Watts recommended). 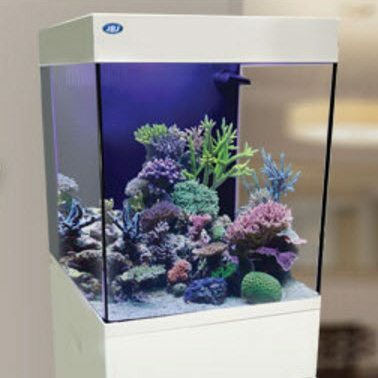 It comes equipped with a filtration intake grill and media filter sponge to support beneficial bacteria development. The filter has a return nozzle chamber that doesn’t block water flow. It includes an innovative ventilation system.